Exclusive! Mini pleats, maxi style! 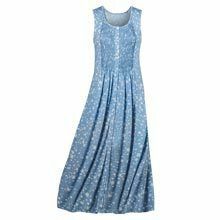 Delicate pintucks cover the bodice of this blue printed maxi perfect for any time of day. Sleeveless, pullover styling makes it the go-to for many busy fashion mavens. 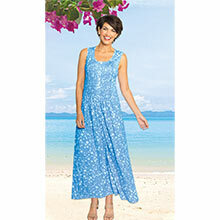 Our Pretty Pintuck Dress features an A-line silhouette and a deep scoop neckline. Polyester/rayon knit. Machine wash. Imported. Misses, approx. 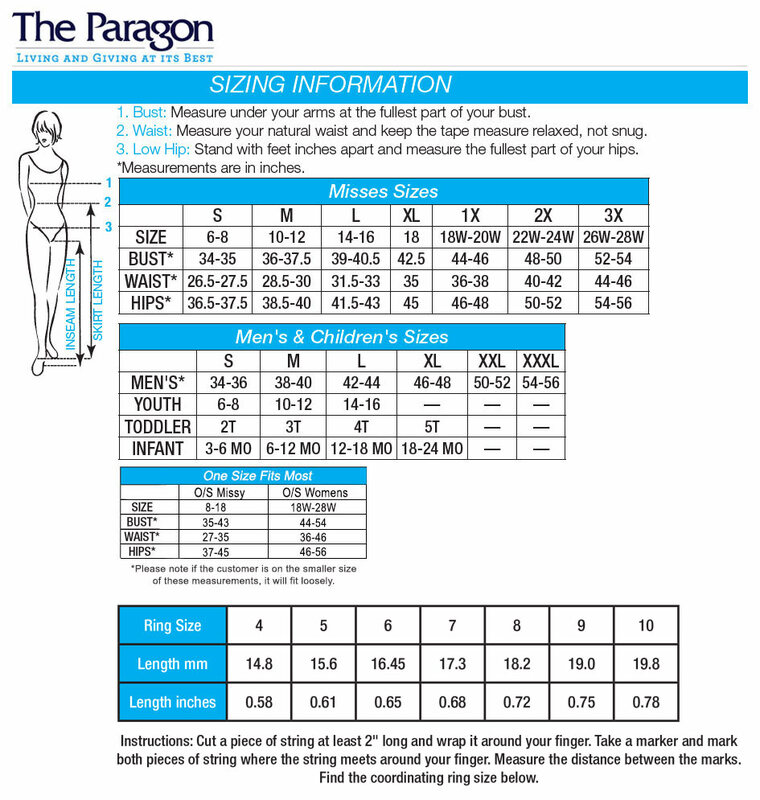 52"l.
This dress is very well made and is nice heavier quality T shirt type knit fabric and not that supper thin cheap type T shirt fabric found in lower costing T shirt fabrics. It was very pretty fabric and very flattering fit. This is a great dress; pretty, comfortable and easy care. My only complaint is that I kept stepping on it going up and down the stairs.